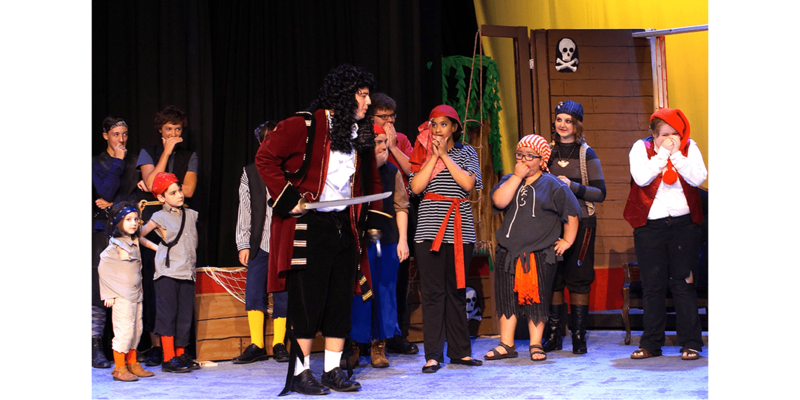 Looking Glass Playhouse (Lebanon, Ill.) presented "Peter Pan Jr." in 2017 thanks, in part, to funding from the Arts and Education Council's Monsanto Rural Community Arts Education program. Photo courtesy Looking Glass Playhouse. The Arts and Education Council announced today that Monsanto Fund has continued its support for the nonprofit organization’s Rural Community Arts and Education Fund with a $25,000 grant. Since establishing the partnership in 2007, A&E and Monsanto Fund have provided more than $200,000 in grants to organizations in rural communities surrounding the St. Louis metropolitan area for arts and arts education programming. 2019-2020 Monsanto Fund Rural Community Arts and Education grantees will be announced in summer 2019. Current grantees are: Looking Glass Playhouse (Lebanon, Ill.), Our Common Ground (Greenville, Ill.), Raintree Arts Council (Clarksville, Mo. ), Sullivan Area Arts Council (Sullivan, Mo. ), and Warren County Fine Arts Council (Warren County, Mo.). Monsanto Fund’s renewed support for the rural community grants adds to its existing support for the Arts and Education Council through the Creative Impact Fund, a program established in 2017 to offer arts organizations grants of $1,000 to $5,000 for new projects with a demonstrated need in the community. Bayer, formerly Monsanto, is also a longtime sponsor of the Art Educator of the Year Award at the Arts and Education Council’s St. Louis Arts Awards. Earlier this month, the Arts and Education Council honored Amy Freet of the Ferguson-Florissant School District as the 2019 Art Educator of the Year, sponsored by Bayer. For more information about the Arts and Education Council’s grants and programs, click here.